Stocks are on a roll that shows no sign of letting up, according to the CEO of Standard Life Investments. Keith Skeoch, chief executive of the UK-based fund management firm, said investors should worry less about a stock correction and more about missing out on the next legs of the rally. Since the third quarter of 2011, Skeoch said he's been shifting more of his funds' roughly $272 billion into stocks and out of bonds. 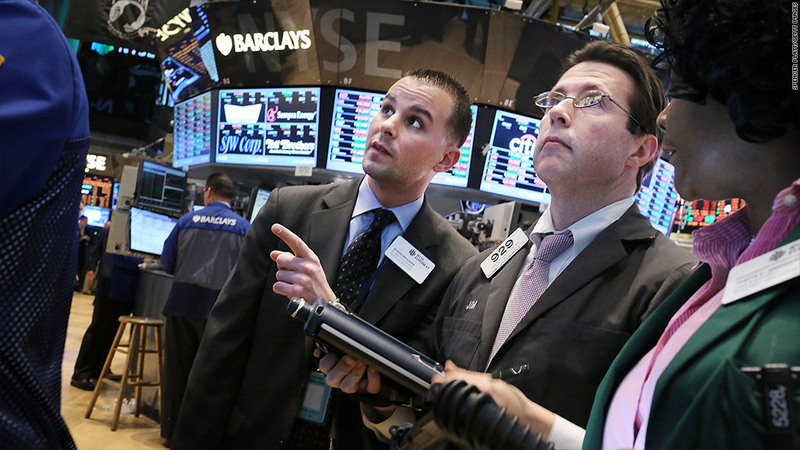 "This is not 'we buy equities because equities go up'," Skeoch told CNNMoney. "We are looking at stocks through the lens of income and sustainable cash flows." He points out that the move by stocks back to record highs has been slow -- nearly six years. And corporate balance sheets are strong, leaving room for more growth. "With so much cash on the balance sheets, the ability of corporations to pay dividends to investors is becoming easier," Skeoch said. Instead, he said investors should be worrying about record low interest rates. "Big balance sheets are starting to understand that they are too exposed to interest rates and duration," said Skeoch. "The real stress point right now is in fixed income." The yield on the 10-year Treasury note has been hovering around 2% or lower for nearly two years as investors have poured in. If rates start to move higher, those investors could be in for a rude awakening, and stuck with deep losses. Skeoch says he doesn't know when, but he predicts that investors must be worried about a return to 1994, or what Fortune called the year of the "Great Bond Massacre." But stocks will continue to find support both from investors and stimulus action from central banks around the world. Skeoch thinks the Bank of Japan's decision to pump significantly more money into its economy is just the latest sign that quantitative easing will continue to expand and reverberate around the world. "Monetary policy is still being loosened," he said. And that's been beneficial for stocks. Investors have taken advantage of the low interest rate environment, and after years of quantitative easing, bet that central banks will keep pumping money in until the economy is on solid footing. In addition to the United States, Skeoch thinks Japanese equities should rally over the next several years. The U.K'.s FTSE index is a good bet too, he says. Not because of any strength in the U.K .market but because it's a good way to bet on global stocks since 75% of its listings are not based in the U.K.. He's not keen on all stocks though. His fund recently pulled out of Brazil because it got "too hot," and he's neutral on emerging markets.